Malavath Purna could be seen as an inspirational story, a reverential epitome of “Rise against all the odds” for many. As for a kid to achieve so much in such a tender age, of course, that would be nearly impossible to even imagine for most of us. 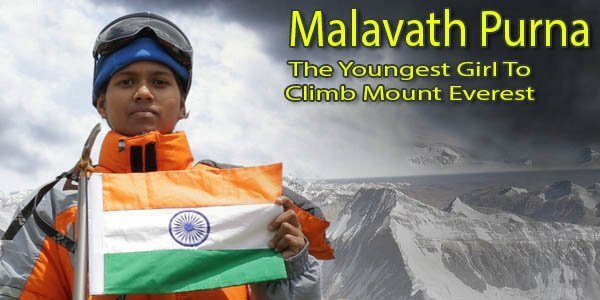 Malavath Purna (also known by Malavath Poorna, or Purna Malavath) is an Indian mountaineer; born on 10th of June 2000. Purna hails from Pakala Village of Srikanda Mandal, Nizamabad District, Telangana. It was on 25th May 2014, when at the age of 13 years and 11 months she trudged to the highest peak of Mount Everest and bagged the title of the youngest female on the planet to have reached that height. She has also scaled 5,642 m Mt. Elbrus, the most astounding pinnacle in Russia and Europe on 27th July 2017 at around 10:00 hrs. However, what we may fail to notice in these dense and well upholstered philosophical judgments is, that she was just a child of 13 years old with no sense of empowerment in the context of today’s definition for it.  She did not do it for any defined purpose as such. Although in her later interviews she expressed her motivation for the summit to be her will for letting the world know that girls can achieve anything. And also from those same interviews excerpts you would find her mentioning of the day when she first saw the Mount Everest, she said to her coach, “It’s not that tall. We can climb it in a day.” That one statement tells the reaction of a 13-year-old child indeed. Of course, she had been through the atrocities of life in a quite strong sense of it which also at a very early age. An underprivileged kid, from a community where girls were forced for marriage by that age when she climbed the peak. She had no exposure, in a what-so-ever manner, to the reality of life and experiences. And when she got the taste of life indeed, in certain unplanned circumstances, she could not resist that. It was just for the experience of it that she aimed for such an arduous path. For she got encountered with expertise which induced the sense of life, sense of profound peregrination within her. Or else, who would look up for such a mighty aim in those odds. She looked at it, cause she overlooked every other thing. 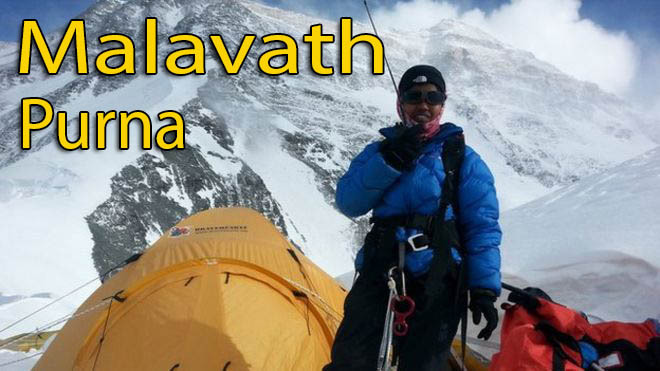 Malavath Purna on the Mount Everest Peak. Malavath Purna said she felt “Incredible” on achieving the summit on Sunday. She lifted the Indian banner at the summit and furthermore left a photo of Dalit pioneer BR Ambedkar there. Authorities say her accomplishment is significantly higher as she climbed the crest from the more troublesome Tibetan side. Most climbers endeavor the 8,848-meter (29,029-ft) Everest from the Nepalese side, which is more straightforward, yet Nepal does not permit climbers under 16 years old to scale the world’s tallest mountain. For the world, she is not an exemplar of girl empowerment, or of a potential of an underprivileged section of society. She is merely what every human life for deep inside. She is an embodiment of life. Hope she gets seen as that. 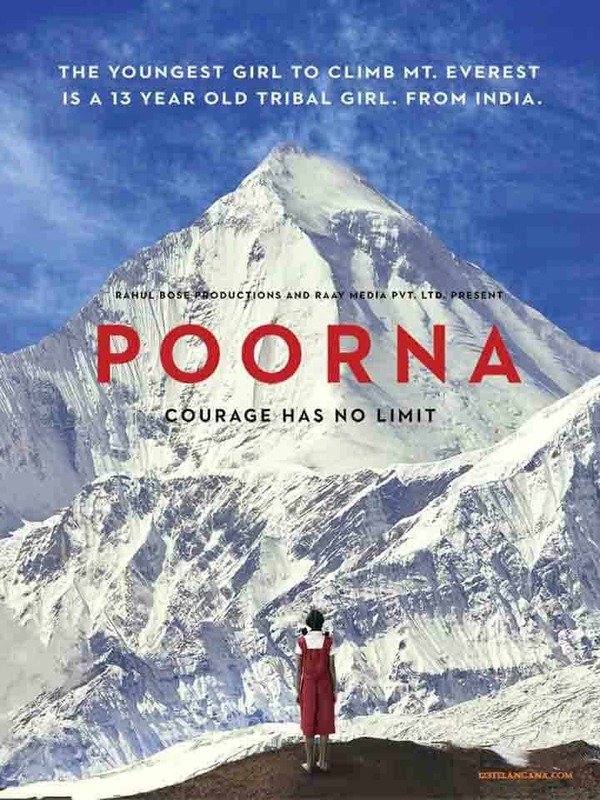 A biographical film of Purna named “Poorna” is also released in 2017 which is directed by Rahul Bose. Next articleIndian Rihanna: Renee Kujur’s journey from flout to ‘Indian Rihanna’. Indian Rihanna: Renee Kujur’s journey from flout to ‘Indian Rihanna’.